Has anyone removed the blue tint found on the back side of the factory stock gauge cluster overlay? 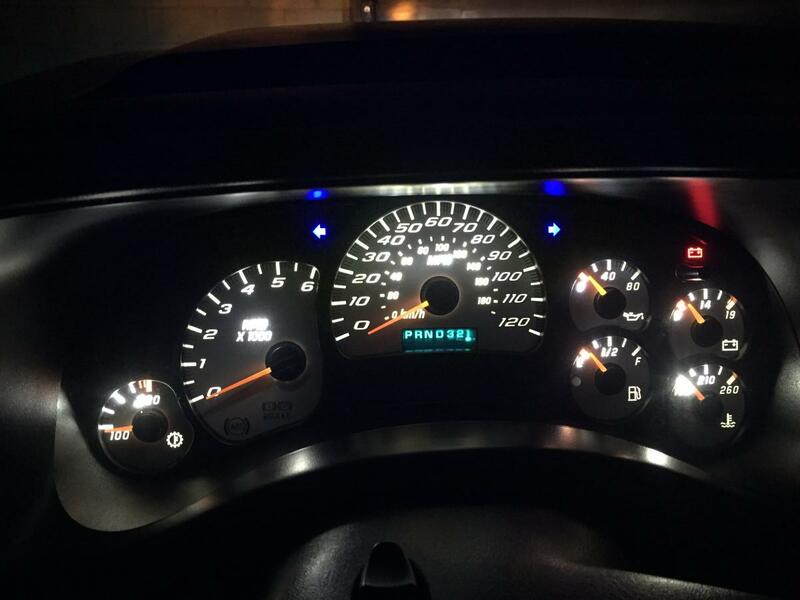 I soldered in white LEDs in place of the factory bulbs and wound up with blue gauges because of this tint. Truck is a 2007 Silverado Classic crew cab. Looked into new overlays from a lot of different aftermarket companies but would prefer the stock appearance. Just need to remove the blue tint from the backside without mucking up the front side. I know there are a bunch of guides floating around of people changing the backlights on the gauges. I'm sure in one of those threads somebody mentions the blue tinting you're talking about. the blue tint is on the bulbs in the form of little blue condoms that slip over the bulbs. they are pretty easy to remove without hurting anything. I did and it looks good to me. Is that with white LEDs as well or factory bulbs, without the lil condoms?